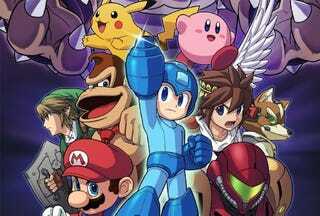 ​Who's Your Main Character In Super Smash Bros. 3DS? Sure, Smash Bros. is a game about watching a bunch of colorful characters duke it out. But it's also about arguing over which character is best. I'm not a Smash die-hard like some of our staff members, but I've been having a hell of a good time with the new 3DS version of Super Smash Bros. I haven't unlocked much yet, but I already feel a bit spoiled for choice when it comes to which character I'll play. Of course, the first thing I started wondering after I began playing was: Which character does everyone choose as their main?